3 Quart mixing bowl with rubber base. Keep your bowl from slipping off your table with this smart product. Made of quality stainless steel. Country of origin: India. Keep your bowl from slipping off your table with this smart product. 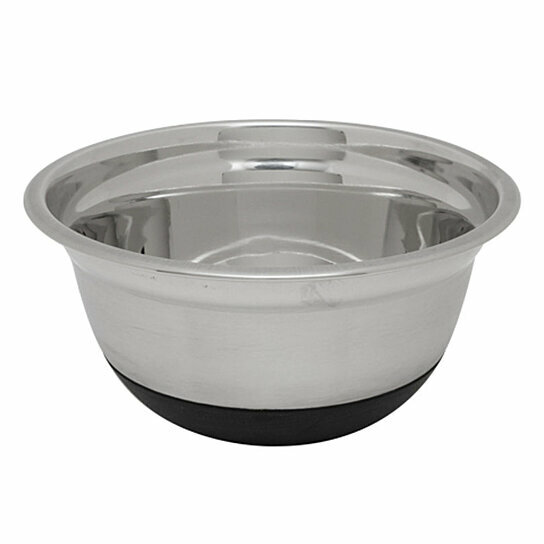 3 Quart mixing bowl with rubber base.